Fresh individual with patches of pristine crust showing flowlines and lipping. Other surfaces show abraded crust indicating a find location in an area with abundant quartz sand and high wind velocities. 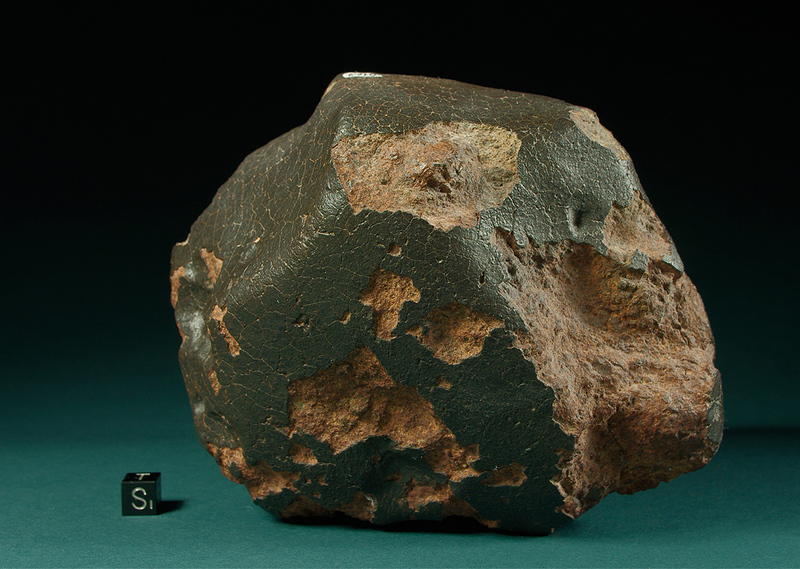 The effect of corrasion (mechanical erosion) can be seen in the shape of several pockets eroded into the Meteorite. The green olivine-rich matrix encloses a dense array of glassy melt pockets. 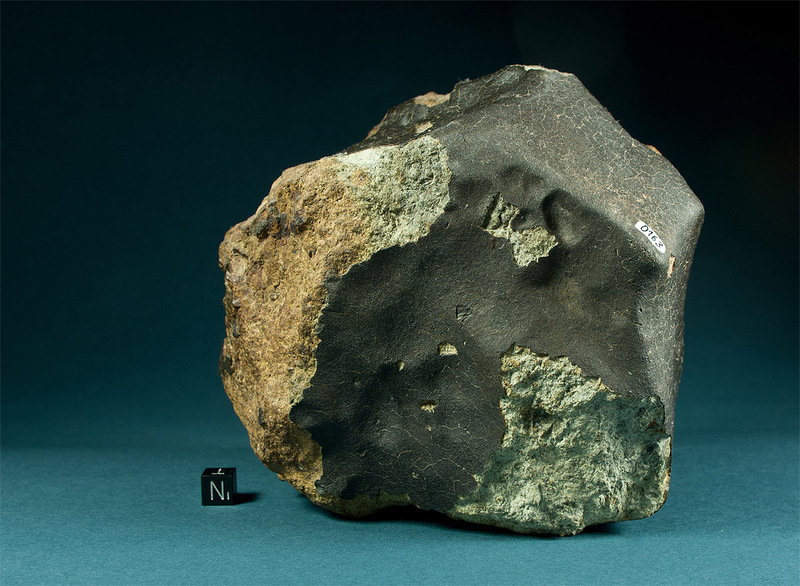 This Meteorite was classified as an LL6 chondrite and submitted to NomCom but as so many others is still pending publication.